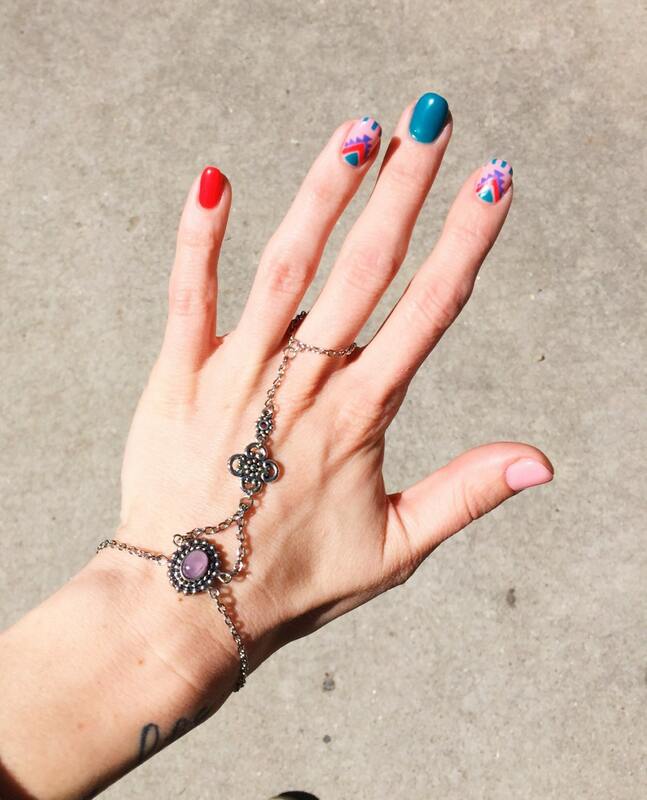 The Aurora Hand Chain is a badass piece for any bohemian soul. 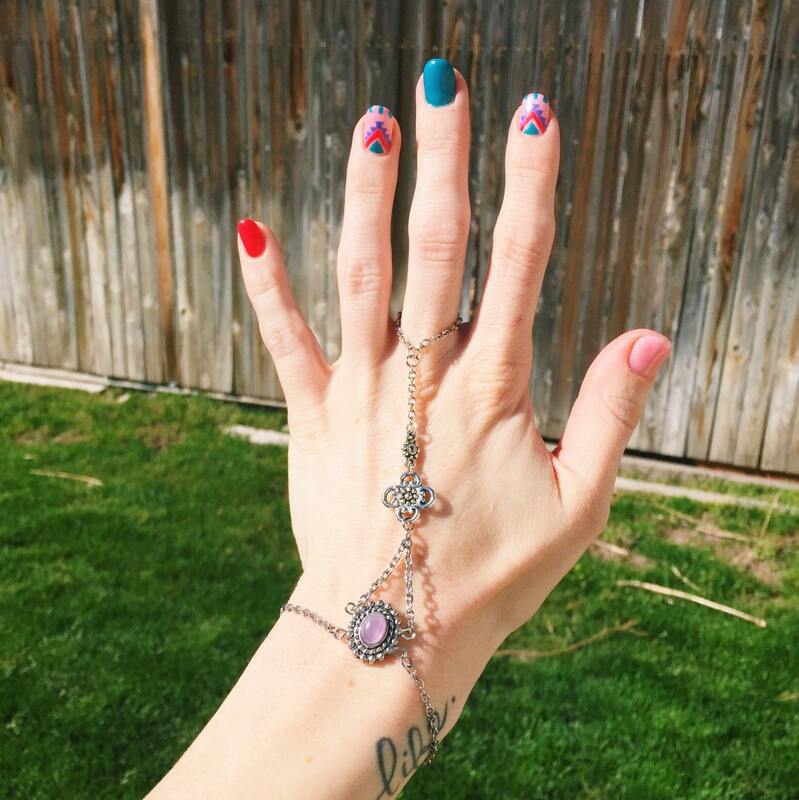 Each hand chain is created with either an amethyst or turquoise pendant, giving every piece a special, magical vibe. 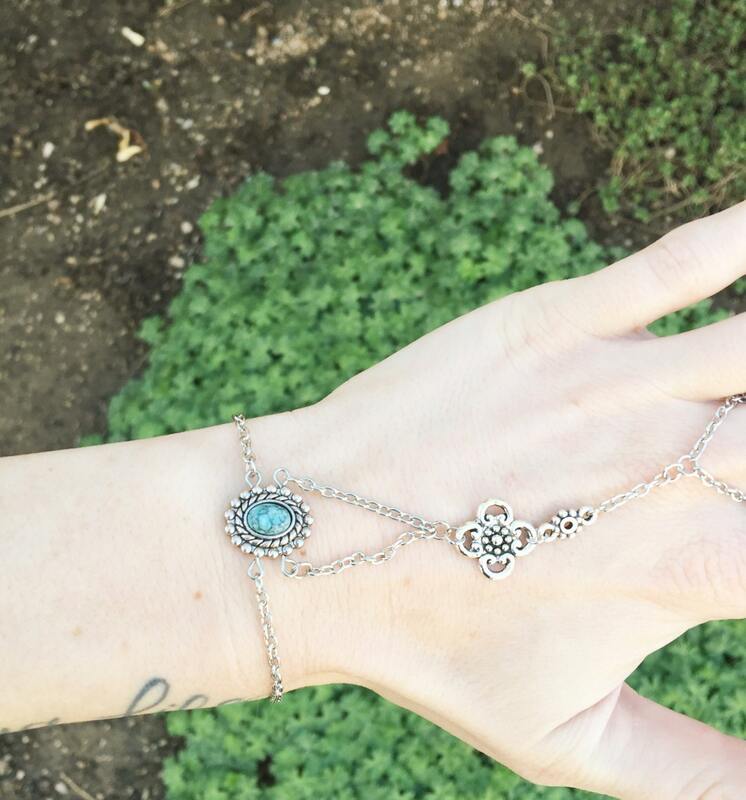 Perfect for layering with some arm candy or rockin solo. When ordering your please select type of the mineral you would like. The standard fit is 5.75 in. chain for wrist, 2.75 inch for chain from wrist to finger, and 3 inch for chain around finger. 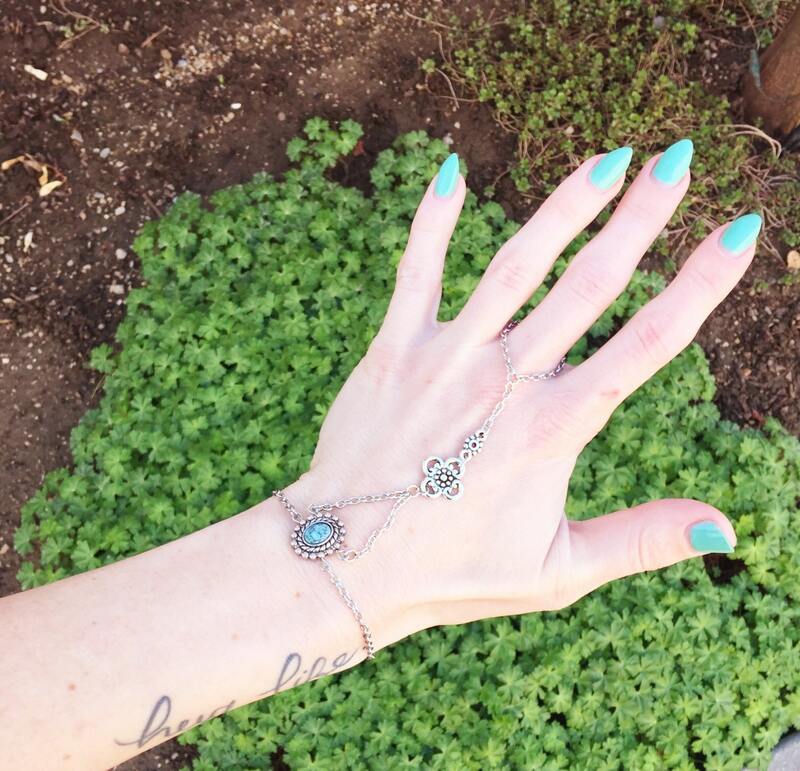 Each hand chain has a 1 inch extender chain on wrist. 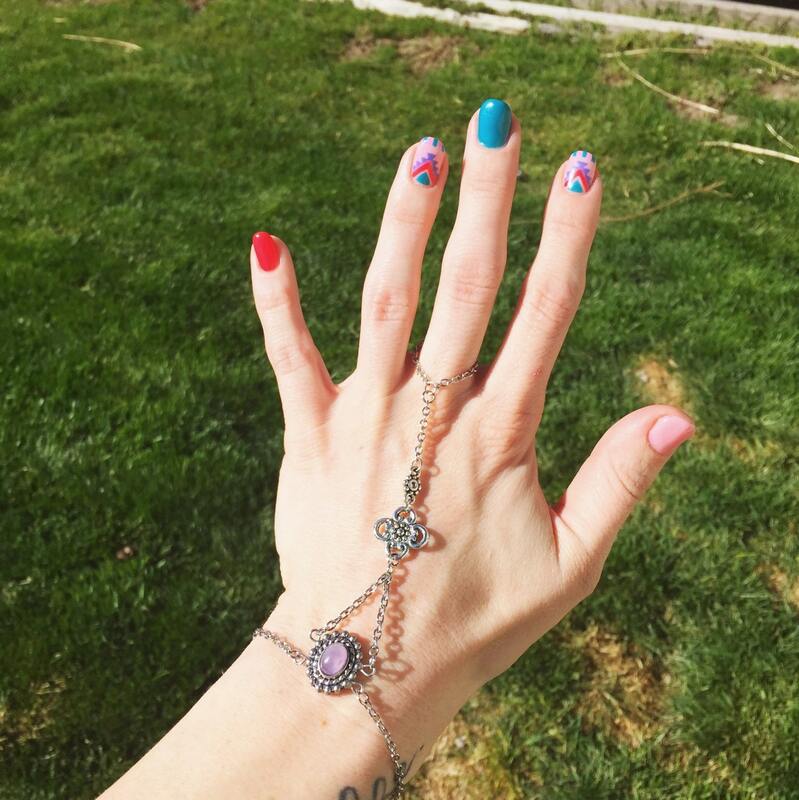 For customized sized bracelets, please be sure to check out the photo above and measure accurately. Check out body chain section for matching Aurora body jewelry.